Is It A Good Time To Purchase Investment Property in Silicon Valley? Is This Is A Good Time To Purchase Investment Real Estate in The Silicon Valley? I previously talked about the effect of increased interest rates on Silicon Valley Real Estate. For my analysis of that situation please click here. The upshot is that higher the interest rates will decrease prices, but maybe not in proportion to the cost of ownership, especially in higher priced/more popular areas of Silicon Valley. This will keep the affordability of home ownership out of reach of many Silicon Valley residents. That means there will be a greater number of potential renters in the area which is good news for real estate investors. Currently, the CAP rate on rental real estate has not been great, especially in high end properties. It is not uncommon to see 2% cap rates in multi- family homes in Palo Alto or Mountain View. The value was in appreciation. No one is predicting much appreciation in this market in the next year or two, and rents are already ridiculously high. I am not convinced they are going to increase much in the next 2 years either. Where I see opportunity in the Silicon Valley real estate investment market is in areas near the tech expansion in San Jose, or in those easy commuting distance but still affordable like Newark and Union City. I believe that investing in rental property in these areas of the Silicon Valley have the potential for increased rental values as well as appreciation. They are more affordable than buying in higher priced cities like Mountain View, Palo Alto, Menlo Park, Saratoga, or Los Gatos, and they offer relatively easy commutes to the major employers, so they are good for attracting the demographics most likely to rent. Of course you need to keep in mind rent restrictions in San Jose, so multi -family homes may not be your best option. Additionally the multifamilyhomes in San Jose tend to be extremely old and need a lot of repairs and upkeep. I like the newer buildings in downtown San Jose as rental units. They are relatively affordable, don’t need a lot of upkeep, popular with the tech force so easy to rent out, and can give a pretty good return. There are also many condos/townhomes in Newark and Union City as well as a lot of new construction there that is in the works. If the interest rates get too high and the newer construction becomes more difficult to sell, the builders MAY ease up on the rental restrictions and that would be a good opportunity. If you are going to purchase a Silicon Valley investment property with a loan, then it is best to do so as soon as possible, because the increasing rates will not be working in your favor. If you are purchasing a Silicon Valley investment property with cash then I think the first half of 2017 will be a great time to do that, as the pool of renters increases and the pool of buyers decrease. If you have any questions about buying or selling investment property in Silicon Valley please feel free to contact me. After the election I started watching Bloomberg TV instead of the news/opinion channels I had been watching. I guess I just got tired of all the yelling, in addition to the fact that I felt the need to try and get some clarity on what might happen to the economy, and more specifically the Silicon Valley housing market. Besides the much needed civility I found on Bloomberg, I quickly came away with the understanding that no matter who the different reporters and commentators said they thought would be winners and losers in a new political environment, there was one thing everyone agreed on. Interest rates are going up. PERIOD, end of story. Janet Yellen was going to raise interest rates anyway, due to the favorable economic environment. But added to what would have happened, regardless of the election outcome, everyone agrees that we appear to be headed for an inflationary period. I am old enough to have purchased my first home when interest rates were 19% and the most valuable homes were those that had assumable mortgages as 13% or less. Hopefully we are not going back to those days. But we are going from interest rates in low 3% to now over 4% and presumably still rising. So what does this mean to the Silicon Valley housing market? Common wisdom is that as interest rates go up housing prices go down since the ability for a borrower to pay also goes down. We have seen this in the past, but the decrease in price is not always proportional to the increase in rate. The difference for each jump of 1% in interest translates into about a 10% increase in monthly payment. Again, the difference for each 1% in increased interest rates equates to about a 10% increase in monthly payment. So, in order to make waiting a money saver, If interest rates go up 1% pt. housing prices must go down over 10%. At a 2% pt hike housing prices must go down over 20%, and at a 3 pt climb they must go down over 30%. Do we expect this to happen in the Silicon Valley housing market in the near future? No one can say for sure, but let’s look back at housing rate drops during the big crash of 2008-2010/2011 in some different neighborhoods. These are average prices for all residential real estate. Some segments fell more than others, but on average I looked at what the mean sale was for single family homes, town homes and condos in four locations: Palo Alto, East Palo Alto, 94087 (Sunnyvale west of El Camino), and Willow Glen. What so these numbers tell me about the Silicon Valley housing market, and by extension you? If you are planning on buying in one of the areas where prices held up fairly well during the crash, then waiting for prices to drop as interest rates rise may not be to your advantage. If you are planning on buying in a location that did not hold up well during the crash then an increase in interest rates may get you some savings in the long run or maybe bigger, better property. My only concern would be that places like East Palo Alto that suffered so badly during the crash may not drop as much with higher interest rates since the location is so convenient to Facebook and Google. That may put enough pressure on these east of 101 neighborhoods to keep the prices supported more than they were in the crash. I believe the same may be true in San Jose as companies like Google and Apple move south where there is more available space. In neighborhoods like Alum Rock or South San Jose where there is a lot of investor activity it may be better to wait until prices fall. If you have any questions about buying or selling a home in the Silicon Valley please feel free to contact me. Is Felton, Ca going to be the New Brooklyn? About 30 years ago some friends of mine who were young professionals, living in New York City, had a baby. Having both grown up in the suburbs of Philadelphia they promptly decided the city was no place to raise a child. Being early in their careers, they did not have enough money to buy a house in someplace expensive, like Westchester, so they set their sights on Brooklyn. In the mid 1980's Brooklyn was not hip, or trendy, or very pretty. But it was convenient to the city, they could buy a house with a back yard, the house they could afford was enormous and in Park Slope. Yes, they bought a 4 story home in Park Slope 25 years before Sarah Jessica Parker and Mathew Broderick. At that time real estate in NY was outrageous (as it still is) and they made the decision to travel a little for something affordable and with a little room to breath. Now, we in the Silicon Valley, with 6000 square foot lots think that the postage size back yards in Brooklyn are laughable, but for a New Yorker, it is like living in a park. Fast forward to 2015 and this home in Park Slope is probably worth over 4 million, and my friends raised their children in what was to become one of the trendiest neighborhoods outside of the Soho. Why should any young people in the Silicon Valley care about this story? Well, over my 20 years in real estate I have become pretty good at predicting future real estate trends, and something is catching my eye right now. That something is Felton. A few months ago one of my very favorite clients asked me to list her deceased uncle's home in Felton. Having lived in Santa Cruz, and the Santa Cruz mountains in my past, and owning property in Santa Cruz, I felt comfortable about taking on the job. The house at 928 Hillcrest Dr in Felton goes on the market this week. After spending some time in Felton again I have the feeling it is on the cusp of a real estate explosion. There are some new additions to Felton including The New Leaf grocery store, like Whole Foods, but not as expensive. There is also a new restaurant called The Cremer House which I swear could be plopped down in Green Point or Williamsberg in Brooklyn and be totally at home. San Lorenzo Valley Schools are great, and have API scores comparable to many of the good Silicon Valley school districts. 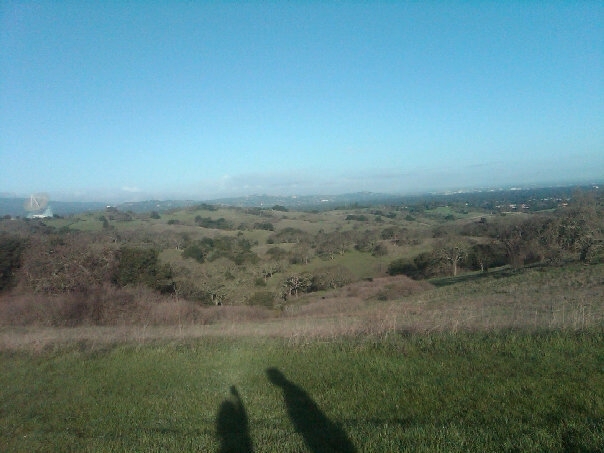 The commute is not fabulous, but no worse than the commute from the East Bay or South San Jose, and a lot prettier! Buying a home in the Silicon Valley is often an effort in futility. Multiple offers, no contingencies, 20% over list price is the norm, not the exception. Felton is just beginning to see multiple offers and slightly over list price offers, with an occasional feeding frenzy. I can feel it happening. I think in the next few years we will see Felton and it's cool down town and beautiful redwood studded lots will be the home to many young, hip (and not so hip) people looking to find a better life for themselves and their young families. Housing prices in the Silicon Valley are at an all time high. What is even more difficult is that most homes get multiple offers and many sell 10-25% over list price. It is very difficult to get a grip on even how much to offer on a property to be competitive. Then, if you do offer enough, but ask for any contingencies, your offer is almost always rejected. Finding a nice house under $600,000 is virtually impossible, and many people have long commutes to work no matter how much they have to spend. We are very lucky to live someplace where there is such high employment, but it comes at a cost. What is the answer if you want a home, some privacy, and can only spend 700K or less? My suggestion is try Felton. This lovely community in the Santa Cruz Mountains has a lot going for it. In 2015 the average sales price of a Felton home is $498,000 with a low of $290,000 and a high of $1,642,500. 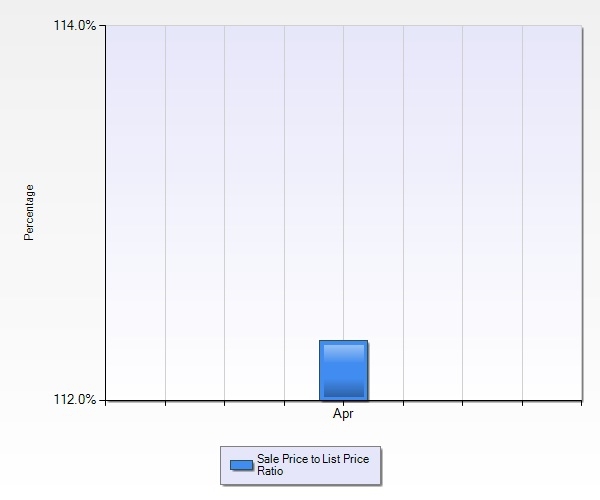 And, as you can see from the chart, the average sales to list price ration is in the 102% range, rather than the 117% found in so many other communities. It is much easier to figure out how much something will sell for in Felton than in other parts of the Silicon Valley. Felton has easy access routes to the Silicon Valley along highway 17 or 9. It is less than 30 miles from Felton to downtown San Jose, and about 35 miles from Felton to Mountain View. This compares favorably to the commute from South San Jose to Mountain View or from Fremont to Mountain View. Downtown Felton is cute, accessible, and has some very nice new additions, including a New Leaf Grocery Store (like Whole Foods but less expensive) and The Cremer House, which reminds me of a Brooklyn Restaurant. The San Lorenzo Valley School District is also a big draw for Felton. With San Lorenzo Valley Elementary API at 871, San Lorenzo Valley Middle School, API 833, and San Lorenzo Valley High School API 828, and all schools located in Felton, they provide great education and the benefits of a small unified school district. So think about it. A comparable commute, comparable schools, a cool downtown, and an average price of housing less than half of what you find in the Silicon Valley, maybe you should give Felton a look. If you want to search for homes for sale in Felton click here. The real estate market for Sunnyvale town homes and condos for sale is pretty crazy right now. There are hundreds of new town homes springing up for sale in the eastern part of Sunnyvale but even so, the resale market is still on fire for sellers in Sunnyvale. Normally, if there is a lot of new construction the resale homes with suffer. This is not the case in Sunnyvale. The demand for homes has so far out paced the town homes available for sale in Sunnyvale that prices continue to appreciate and buyers need to offer more than list price to have the winning offer. The closed sales of Sunnyvale town homes and condos was only 4.5% over list price, but that was a reflection of Sunnyvale town home and condo sales in December. 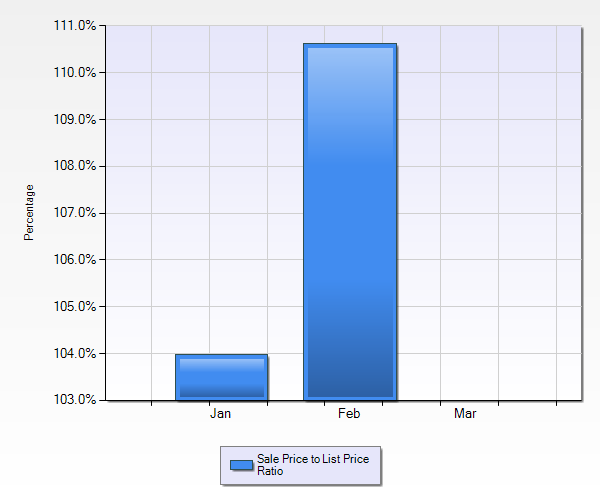 By February the average sale price was 5% over the list price of Sunnyvale town homes and condos for sale. 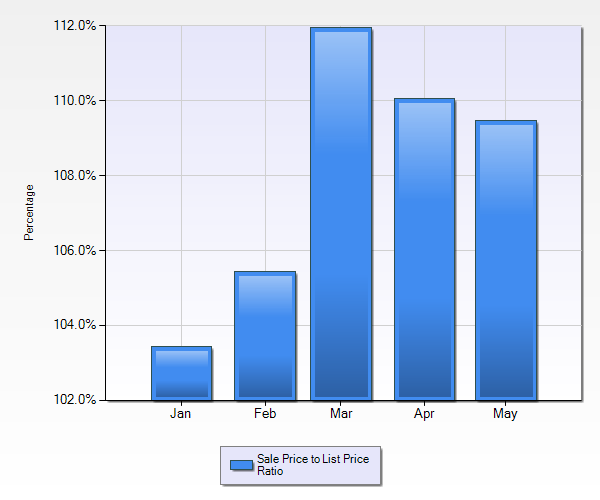 In March through May the average sale price was almost 8.5% higher than the list price of Sunnyvale town homes and condos for sale. 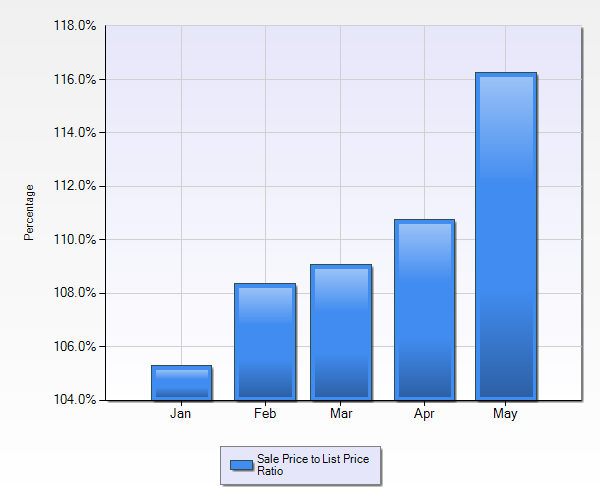 So far in June the sales price is 11% more than the list price, reflecting the sales in May. So if you are faced with making an offer for a condo or town home in Sunnvale how much should you offer? Unfortunatley there is no simple answer. Logically we can not expect 10% apprecition every time there is a sale. However, the number of people looking is not decreasing significantly. What is decreasing a little is the number of investors. As the prices have skyrocked, the return on investment for a rental property is decreasing. The amount you can get for rent has not increased at the same rate as Sunnyvale town home and condo prices have. In fact, so many investors have purchased rental properties there is actually a glut on the market nation wide, and a balance in the bay area. The market is starting to turn back to buyers with loans intending to live in the property are the majority of people making offers, not investors with all cash. So to the answer the question, how much should you offer on a Sunnyvale town home or condo for saleis not simple, but it is not an impossible question to answer. Look at the true market price, not the list price, which can be anywhere from 15% below market value, true market, of 10% higher than market. Take the true market value and go up a percent or two if you want it, and maybe 5% if you REALLY want it and can cover the difference between market value and your offer in cash since the bank will only lend based on market value. You may not win every time, but eventually you will get your Sunnyvale home. If you have any questions about buying or selling a Sunnyvale town home or condo please feel free to contact me. Anyone trying to buy a home in Mountain View right now knows that it is tough out there. There are many more buyers than sellers and many Mountain View homes sell with multiple offers way over list price. Some homes go as much as 30% over asking, but some do not. How does a buyer make the decision about how much to offer to have the winning bid in a Mountain View multiple offer situation and not overpay? The answer is not simple, and sometimes it is not a question of price, but terms, like contingencies, length of escrow, length of rent back, etc. 1. In my opinion the most important thing is, how much is this home worth to you? In other words, what price would you offer so that if it sold for $1000 more you would not be sorry because you do not want to pay that much. It may be that you would pay more than your offer if you could, but you can't so you are just doing your best. But if that is not the case you need to decide how much the house is worth to you so that if you do not get it you will not have regrets. 2. How is the asking price of this home compared to market value? If the house is listed low it will get multiple offers and sell for much more. If it is listed at or above market value it will not. This is not rocket science. Figuring out market value can be a little tricky since there are many variables, and the market is a moving target, but a good Mountain View real estate agent should be able to help you analyze comps. Once you know the market value you will have to offer more in an appreciating market like we are in now. Sorry, but that is the truth. 3. What is the style of the listing agent? Does he or she like to list homes very low to get as many multiple offers as possible on their Mountain View listings? Does the agent over value a home to try to get more money for their client, or just try to win out on a competitive listing? Does the agent like to work with multiple counter offers, or accept the the first best offer? Your agent should be able to give you insight into what other Mountain View real estate agents like to do. In the end, the final offer price and terms will be your decision, but if you have a great Mountain View real estate agent he or she can help guide you through the murky waters of Mountain View multiple offers. If you have any questions about buying or selling a home in Mountain View please feel free to contact me. If you would like to search for homes for sale in Mountain View click here. This Palo Alto Condo Has No Reserve Fund, Can I Still Get A Loan? 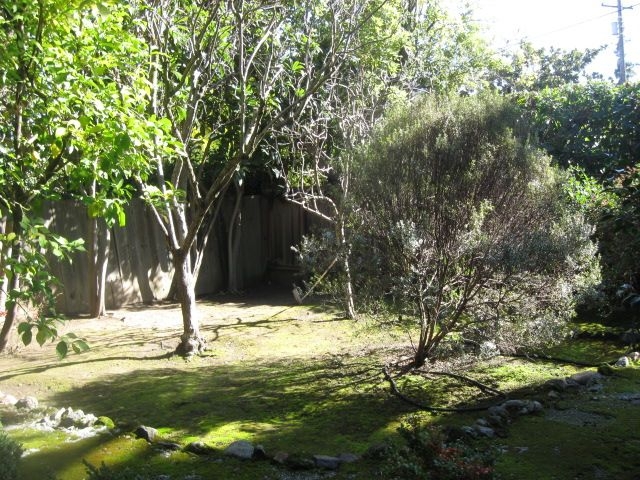 I have a client who made an offer on a condo in Palo Alto at Tall Tree Estates downtown. I love this building. When I first came to Palo Alto in 1981 my dance teacher lived here. I thought it was the most elegant apartment I had ever seen. It was about 7 years old at the time, the building not me. Since my clients are planned on writing an offer we got the disclosures, along with the home owner association docs to review before the offer. One thing stood out to me which is this Palo Alto condo has no reserve fund. A reserve fund is generally part of a Palo Alto condo complex budget. The complex will collect money every month as part of the HOA dues. A portion of this money will not be used for day to day expenses, but rather be put aside in a reserve fund. This fund is used to pay for major expenses like a new roof, exterior painting, or replacing the elevator. Occasionally a complex will decide that instead of collecting money for major repairs and replacement costs in advance the complex will keep the dues lower and collect for these expenditures as they come up. This plan can have advantages as well as disadvantages. When a Palo Alto condo does not collect dues in reserve the monthly HOA dues will be much lower than in a building that does collect. Most complexes collect $150-$300 a month for their reserve funds. The owners of this Palo Alto condo building decided that instead of paying this amount monthly, they would be responsible themselves for saving the money for the capital expenditures. In the case of Tall Tree Estates they have had 3 assessments in the last 18 years. If you take $250 a month for 18 years that comes out to $54,000, a figure far above what the assessments during that time period added up to. The downside here is that if someone sells, and then the next year there is a large assessment, the new owner will have to pay for a lack of past collections. If they hold their Palo Alto condo for a long period of time they will make money in the long run. The biggest question a buyer of a Palo Alto condo without reserve funds has to answer is, "will my lender lend on this complex?" Different lenders have different requirements with respect to reserve funds and whether or not they will loan money. If you are planning on buying a Palo Alto condowithout a reserve fund be sure and ask your lender what the regulations are before you make your offer. Fortunately my clients had a lender who would make the loan and their offer was the winning bid. They are looking forward to many happy years in this downtown Palo Alto condo. If you have any questions about buying or selling a condo in downtown Palo Alto please feel free to contact me. If you want to search for condos for sale in Palo Alto click here. Buying a home in Sunnyvale is not easy. There has never been more competition and other very qualified buyers. Prices are at historic highs and inventory at historic lows. Decisions must be made quickly and very often in a multiple offer situation if the Sunnyvale home buyer asks for a contingency for anything they will most likely not be the winning bid. Making a non contingent bid on a Sunnyvale home is risky, especially if you need for the home to appraise because your down payment is only 20%. In fact, I do not recommend that anyone take that chance. Fortunately my latest Sunnyvale buyers did not have to make a non contingent offer to get the home they want, because they were in the position of only having 20% down at this point. Being able to have an offer accepted with a loan contingency for a Sunnyvale home was lucky for them, because the mortgage broker almost derailed the sale. My clients were pre approved with a mortgage broker from a well known and respected company. The husband had a resident alien visa and he and his wife were pre approved through the mortgage company for a jumbo loan with 20% down. 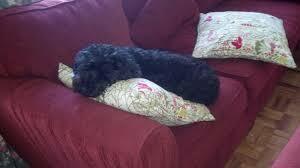 The mortgage broker was going to use Chase. My clients made an offer on a home in Sunnyvale that is on a fairly busy street and unlike many other Sunnyvale homes for sale was not listed under priced. They were the only Sunnyvale buyers making an offer and so they were able to ask for a loan and appraisal contingency and the sellers agreed. The appraisal was fine, but the day the contingency should have been removed Chase said they did not qualify for the loan because resident aliens needed 30% down for a jumbo loan. This information should have been known by the mortgage broker, but it wasn't. I can not explain why. Fortunately the sellers gave my Sunnyvale buyers an extension and the mortgage broker found another lender who would loan 80% on a jumbo loan and managed to close only 2 days late. However, this could easily have gone the other way. The sellers could have not given an extension. The mortgage broker could have not found another loan. The mortgage broker could have found another lender but they may not have appraised the house for the offered price. Bottom line this should not have happened. The mortgage broker should have known the rules. This could have cost my buyer the sale. I can not tell you how many times my Sunnyvale buyers said they should have used my favored lender. I did not say I told you so. Not needed. If you have any questions about buying or selling a home in Sunnyvale please feel free to contact me. If you would like to search for homes for sale in Sunnyvale click here. An agent enters into a fiduciary relationship with their client when they sign an agency agreement or also known as a representation agreement. This relationship is a legal relationship which provides for very specific duties owed to the client. Keep in mind, these duties aren’t just moral and ethical in nature but, are as much statutory and legislative as anything else. Two specific types of law are in control of this relationship and they are the Common Law of Agency and Statutory Law. I will discuss those duties below in detail and I strongly recommend that before you enter into any agency agreement with your local licensed real estate professional, you read over these duties and understand them. Care: The fiduciary duty of care is when an agent is required by law to give his client and the transaction the necessary attention in order to do the job correctly and to avoid any damage or risk to the client. The idea behind this duty is that you, as the client, expect the agent to know more about real estate than the average person on the street. For this reason, the agent should use his knowledge, experience and expertise to your benefit. When an agent doesn’t exercise reasonable care, a court of law could find that the agent neglected his duty. In situations where the agent was found to be neglectful, the agent could be liable to his client for any loss resulting from the agent’s lack of attention or neglect. Obedience: The fiduciary duty of obedience is when an agent is required by law to act honestly, fairly and in good faith at all times, obeying the client’s lawful instructions. This duty is fairly self explanatory however, it’s important to remember that this duty is not absolute. The agent doesn’t have to obey any instructions that cause the agent to break the law or violate any moral or ethical standard. Loyalty: The fiduciary duty of loyalty is when an agent is required by law to place his client’s interest above his own. It has been my experience that this duty always seems to bring the most debate however, the law is very clear. Your agent owes you his loyalty, above his own interest. This brings the most debate because most representation agreement includes commissions that are based on percentages of the gross sales price. In other words, the agent makes more money if he obtains a higher sales price on the home. The reason this can be a source of conflict is that sometimes, getting the most money for a home isn’t the offer that serves the clients best interest. In these types of cases, many agents seem to forget their loyalty duty in an effort to obtain the highest price and therefore, putting their own self interest above their clients. 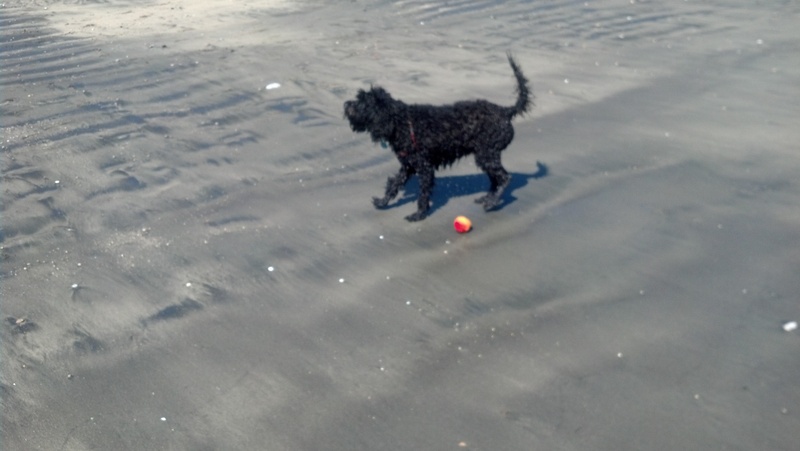 As the agent, we owe our clients absolute loyalty, above our own self interest. Disclosure: The fiduciary duty of disclosure is when an agent is required by law to keep his client informed of all the facts and any other information that could impact the client. This duty brings in another concept called Material Facts. It’s important to know and understand that the definition of material facts is very broad in order to cover any fact that the client would consider in determining whether or not to engage in the transaction. When you couple the disclosure duty with the care duty, you get an agent who is obligated by law to find the facts that are important to the transaction. In fact, agents can be held liable for any damages relating to not disclosing their knowledge regardless if it’s favorable or unfavorable to their client. The rule of thumb for agents is to disclose everything and if you even have to question whether or not to disclose something, you disclose it. Accounting: The fiduciary duty of accounting is when an agent is required by law to keep a record and be able to report on the status of ALL funds received on behalf of their client. In many states, agents are required to actually provide accounting records on funds to all parties in the transaction. Here in Tennessee, we are required by law to have funds deposited within certain time frames and they must be deposited into special escrow accounts as to not to co-mingle our client funds with our own. Confidentiality: The fiduciary duty of confidentiality is when an agent is required by law to keep their clients affairs secret. This is likely the 2nd most hotly debated duty by agents because, not all agents have the same opinion on what is considered confidential and what isn’t. One of the biggest mistakes agents make in regards to this duty is disclosing their client’s eagerness or willingness to get the deal done. For example, your agent shouldn’t be telling the other party things like, “My client really wants this house and he will do what needs to be done to get it” or “My seller really needs to sell.” Statements like these could potentially give the other party an edge in negotiations and therefore hurt the client. Anything you tell your agent should remain confidential with one exception and that is material facts. As you can see, working with an agent to buy or sell your home has very specific legal duties that are owed to you by the agent. When entering into a representation agreement, it’s imperative that you know and understand these duties. Knowledge of these duties will help you find the right agent for you and your needs. When selling, buying or investing here in Nashville Tennessee, Liberty House Realty LLC is aware of our duties to you and are ready to help. How Much Should I Offer For that Mountain View Condo? Anyone trying to buy a condo in Moutain View right now knows that it is tough out there. There are many more buyers than sellers and many Mountain View condos sell with multiple offers way over list price. Some homes go as much as 30% over asking, but some do not. How does a buyer make the decision about how much to offer to have the winning bid in a Mountain View condo multiple offer situation and not overpay? But for right now, let's just discuss price. Here are some things to keep in mind when you make an offer on a Mountain View condo in a multiple offer situation. 1. In my opinion the most important thing is, how much is this condo worth to you? In other words, what price would you offer so that if it sold for $1000 more you would not be sorry because you do not want to pay that much. It may be that you would pay more than your offer if you could, but you can't so you are just doing your best. But if that is not the case you need to decide how much the house is worth to you so that if you do not get it you will not have regrets. 2. How is the asking price of this home compared to market value? If the condo is listed low it will get multiple offers and sell for much more. If it is listed at or above market value it will not. This is not rocket science. Figuring out market value can be a little tricky since there are many variables, and the market is a moving target, but a good Mountain View real estate agent should be able to help you analyze comps. Once you know the market value you will have to offer more in an appreciating market like we are in now. Sorry, but that is the truth. In Feb the average was 10.5% over list price, but some went more and osme less. In the end, the final offer price and terms will be your decision, but if you have a great Mountain View real estate agent he or she can help guide you through the murky waters of Mountain View condo multiple offers. If you would like to search for Mountain View condos for sale click here. If you have been looking for a home in the bay area you may find yourself frustrated with multiple offers and 10-20 other people all going after the same homes you are. Homes sell quickly and for huge amounts over asking in most cases. It is hard to know how much to offer, and what makes your offer stand out. There is no easy solution, but the best advice I can give people is to expand their horizons. This can mean try to be more open minded about the style, price, or location of what you are willing to buy. The area where the buyer has the most discretion is location. One excellent location to get away from the maddening crowd of buyers is to go to the coast, look into buying a home in Half Moon Bay. There are some great reasons to think about buying a home in Half Moon Bay, a fantastic coastal town just 6 miles off of 280 and 92. 1. There is more inventory. 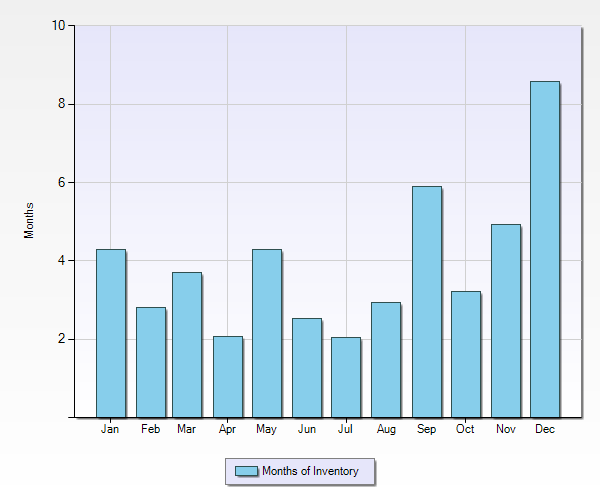 This chart shows months of inventory in Half Moon Bay. Months of inventory is the number of months it would take to sell all of the current homes on the market based on the current rate of sale. It is one of the major ways economist use to determine how good or bad the housing market is. 6 months or less is generally considered a healthy market. More than 6 months is a slow market. In 2013 Palo Alto was always around 3 weeks so as you can see buying a home in Half Moon Bay means the buyer has more choices and more control over the situation. While most cities in the bay area are seeing crazy spikes over asking prices, Half Moon Bay home prices have hovered around asking for most of the year. If you offer on a home in Half Moon Bay you will not have to guess at how much over asking to pay, 10%? 20%? Figure out the market value, what the home is worth to you, and use the lost art of negotiation. 3. Traffic, it is no worse than most freeways. While driving on 92 to get to 280 or home at night can be slow it is not much worse than other major transportation routes. It is just as hard to deal with 85 and 101. 4. Half Moon Bay is a great place to live! From the fantastic beaches, including the dog beach at the Harbor, or the famous Maverick's for surfing, fantastic restaurants, cute shopping areas, great golf courses, and of course the famous Pumpkin Festival Half Moon Bay offers plenty of activities to keep most people occupied, happy, and relaxed in their spare time. So if the rat race of Silicon Valley real estate is getting you down, maybe you should think about buying a home in Half Moon Bay. If you have any questions about buying a home in Half Moon Bay feel free to contact me. Should You Sign A Buyer's Broker Agreement With A Palo Alto Realtor? Let me start by saying I know this post is going to evoke some strong reactions from both other real estate estate agents in Palo Alto as well as around the country. It may also evoke some strong reactions from home buyers in Palo Alto and around the country. Please let me explain that in my 19 years as a Palo Alto real estate agent I have learned that there are many right ways to do things. I do not use buyer brokers agreement. This is how I like to run my business. How other people do it is their business. If it feels right to a future home buyer who is reading this great, if not then feel free to contact someone else. Ok, so what is a buyer's Broker agreement? Some Palo Alto real estate agents will ask their clients to sign a contract saying that during a specific period of time the client agrees that if they buy a house from anyone, the Palo Alto real estate agent they have this agreement with will get paid a commission of no less than x%. So even if the buyer finds a for sale by owner home, a new home where the builder is not paying the buyer's agent a commission, or decides to use a different agent the Palo Alto real estate agent who signed the agreement gets paid by the buyer. In exchange for this financial obligation the Palo Alto real estate agent will promise to do a number of things. The most import is usually work diligently to find a home, get the best deal possible, and pledge allegiance to the buyer. The pluses on this agreement are that both parties are contractually committed to each other so the buyer knows the Palo Alto real estate agent has put in writing how hard he or she will work. There will be no slacking. The Palo Alto real estate agent knows the client will be loyal and his or her work will not be wasted because if the buyer finds a home the agent will be paid. I do not work like this. I always tell my buyers this relationship is like living together, incredibly close and mutually beneficial, but we can split up easily. First of all, I don't even consider that we are in a relationship until we have a few dates. We need to spend some time together, see some house, see if we get each other. Do I understand what you want? Do you like the way I communicate, my hours, my way of helping you? If so then we can become exclusive. I am your only Palo Alto real estate agent and you promise not to cheat on me. If during our "living together time" something goes wrong and you don't like me anymore I just ask that instead of suing me to get out of the contract, just fire me. We will both be much happier. If that works for you then we can go on a date, if not, it was great meeting you and best of luck on your home search! If you ask me to be your agent there will be no buyer broker agreement in writing. if you meet a Palo Alto real estate agent who wants you sign a buyer broker agreement I hope this has given you some food for thought. If you have any questions about buying a home in Palo Alto please feel free to contact me. One and a half million dollars is a lot of money to spend on a home almost anywhere except if you are buying a home in Palo Alto. If that is your budget, then I suggest you look somewhere else. 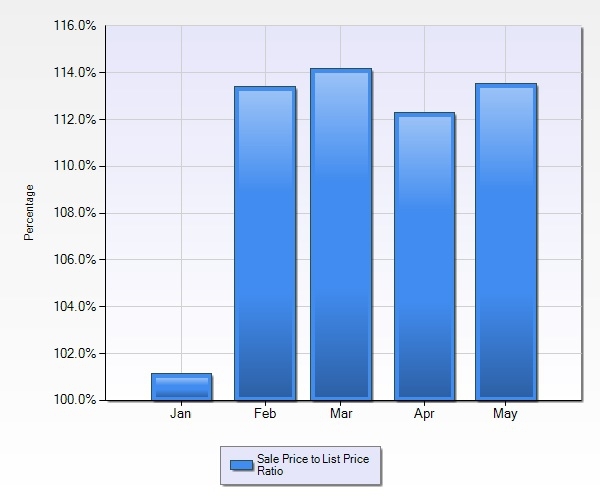 The chart above is a breakdown of all homes sold in Palo Alto from June through November of 2013 with at least three bedrooms and at least 2 baths. There were a total of 187 sales of these homes during this time period. Of these 187 homes a total of 8 sold under 1.5 million, and a total of 17 sold for 1.6 million or less. so as you can see if you want to buy a home in Palo Alto your chances are slim if you your budget is less than 1.5 million. The bulk of the homes sold in Palo Alto were over 2 million, 63 homes. What is interesting is that there were more homes sold over 3 million, 36 of them, than between 1.8 and 2 million 31 homes. Examine very carefully why you want to buy a home in Palo Alto and look for those attributes in another city. In other words, cast a broader net. Buying a home in Palo Alto will get you a lot of wonderful things, but maybe you can get what you want somewhere else. 1. Schools: Many people want to buy a home in Palo Alto for the great schools. There are other excellent school districts including Menlo Park, San Carlos, Mountain View, Sunnyvale, Cupertino. 2. A vibrant downtown area: Many people want to buy in Palo Alto to be close to University Ave. There are also thriving downtown areas in San Carlos, Sunnyvale, Mountain View, Burlingame. 3. Charming older homes: If you want to buy in Palo Alto because of the character of homes in Professorville or Old Palo Alto you can also find this type of home in Willow Glen, the Rose Garden, or Burlingame. I am not saying to stop looking to buy a home in Palo Alto, but if you want to buy a home in the next few months, you will need to expand your search because the numbers are not in your favor if you limit your search to just buying a home in Palo Alto. If you have any questions about buying a home in Palo Alto or any of the surrounding areas please feel free to contact me. Anyone trying to buy a condo in Moutain View right now knows that it is tough out there. There are many more buyers than sellers and many Mountain View condos sell with multiple offers way over list price. Some homes go as much as 30% over asking, but some do not. How does a buyer make the decision about how much to offer to have the winning bid in a Mountain View condo multiple offer situation and not overpay? The good news is that as you can see from the above chart prices are not going as far over list price as earlier in the year, but it is still a challenge. 2. How is the asking price of this condo compared to market value? If the condo is listed low it will get multiple offers and sell for much more. If it is listed at or above market value it will not. This is not rocket science. Figuring out market value can be a little tricky since there are many variable, and the market is a moving target, but a good Mountain View real estate agent should be able to help you analyze comps. Once you know the market value you will have to offer more in an appreciating market like we are in now. Sorry, but that is the truth. 3. What is the style of the listing agent? Does he or she like to list homes very low to get as many multiple offers as possible on their Mountain View listings? Does the agent over value a condo to try to get more money for their client, or just try to win out on a competitive listing? Does the agent like to work with multiple counter offers, or accept the the first best offer? Your agent should be able to give you insight into what other Mountain View real estate agents like to do. How Much Should I offer on A Palo Alto Home With Multiple Offers? Anyone trying to buy a home in Palo Alto right now knows that it is tough out there. There are many more buyers than sellers and many Palo Alto homes sell with multiple offers way over list price. Some homes go as much as 40% over asking, but some do not. How does a buyer make the decision about how much to offer to have the winning bid in a Palo Alto multiple offer situation and not overpay? The answer is not simple, and sometimes it not a question of price, but terms, like contingencies, length of escrow, length of rent back, etc. 1. In my opinion the most import thing is, how much is this home worth to you? In other words, what price would you offer so so that if it sold for $1000 more you would not be sorry because you do not want to pay that much. It may be that you would pay more than your offer if you could, but you can't so you are just doing your best. But if that is not the case you need to decide how much the house is worth to you so that if you do not get it you will not have regrets. 2. How is the asking price of this home compared to market value? If the house is listed low it will get multiple offers and sell for much more. If it is listed at or above market value it will not. This is not rocket science. Figuring out market value can be a little tricky since there are many variable, and the market is a moving target, but a good Palo Alto real estate agent should be able to help you analyze comps. Once you know the market value you will have to offer more in an appreciating market like we are in now. Sorry, but that is the truth. 3. What is the style of the listing agent? Does he or she like to list homes very low to get as many multiple offers as possible on their Palo Alto listings? Does the agent over value a home to try to get more money for their client, or just try to win out on a competitive listing? Does the agent like to work with multiple counter offers, or accept the the first best offer? Your agent should be able to give you insight into what other Palo Alto real estate agents like to do. In the end, the final offer price and terms will be your decision, but if you have a great Palo Alto real estate agent he or she can help guide you through the murky waters of Palo Alto multiple offers. Palo Alto Ca How Much Over Asking Do I Need to Pay? How Much Should I Offer For That Sunnyvale Ca. Town Home or Condo? So to the answer the question, how much should you offer on a Sunnyvale town home or condo for sale is not simple, but it is not an impossible question to answer. Look at the true market price, not the list price, which can be anywhere from 15% below market value, true market, of 10% higher than market. Take the true market value and go up a percent or two if you want it, and maybe 5% if you REALLY want it and can cover the difference between market value and your offer in cash since the bank will only lend based on market value. You may not win every time, but eventually you will get your Sunnyvale home. 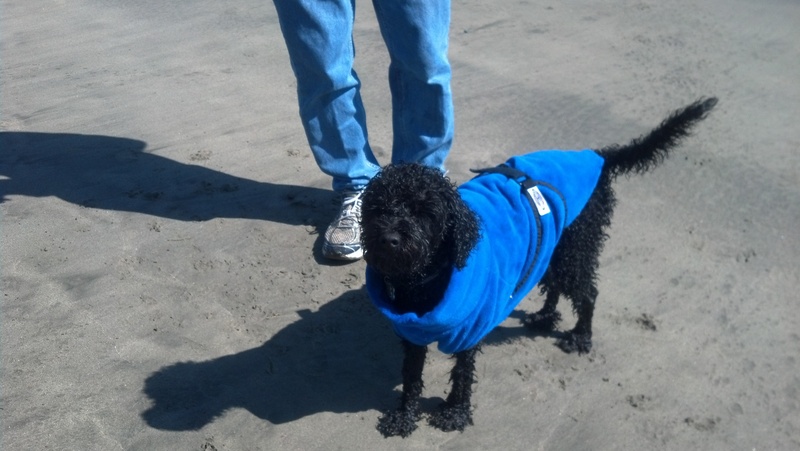 Why Do I Have to Wait So Long To Make An Offer on a San Jose Probate? The San Jose real estate market is hot. Homes go on the market and are sold a few days later, usually with multiple offers. They will often be open over a week-end and then offers will be presented on the following Tuesday or Wednesday. But if the home is a San Jose probate sale, it often takes longer. Why is that? The answer is not always the same, and some San Jose probate sales will sell quickly, but most go through a process that is longer than the typical traditional resale. The main reason is that the Personal Representative for the San Jose Probate sale either needs to take the home to court for confirmation, or is trying to avoid taking the home to court for confirmation. The administrator of the estate is not given full authority by the Probate Court to sell the home. He or she can arrange for the home to go on MLS and can accept an offer, but that offer must be taken to Probate Court and at that time, other potential buyers have the opportunity to make non contingent offers on the home at a higher price than the original accepted offer. This way, the court can prove to all heirs that the home had full exposure to the market and is being sold at the highest price and best terms possible. None of the heirs can say everything was not done to get the most for the house. The Personal Representative of the San Jose Probate sale has full authority to sell the home. He or she can hire a real estate agent, accept an offer, and then send out a Notice of Proposed Action. A Notice of Proposed Action tells the heirs that the home is going to be sold for the accepted amount and they have a specific time period to object if they do not think the sale should go through. If there are no objections to theSan Jose Probate sale, it will go through. If there are, the San Jose Probate home must go through the same court confirmation process as above. It is much easier for the Personal Representative for a San Jose Probate sale to prove the offer is the best they will get by having full exposure of the house to the open market. It is very difficult to prove in court that 4 days on the market is full exposure. 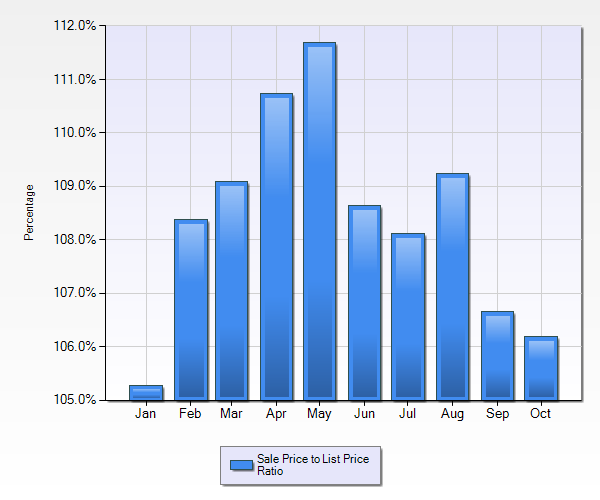 I always have mySan Jose Probate sales on the market for 2 week-ends of open houses before offers are reviewed. I have done this in good markets and bad, and have yet to get an objection on the Notice of Proposed Action. So if you are selling a San Jose Probate home, it is safer to have the home on the market for a longer than average marketing time to help prevent objections. If you are buying a San Jose probate home be happy that you have some extra time to make this big decision. How Much Does It Cost to Buy A Home in Menlo Park, Ca? As a Menlo Park Real Estate Agent I am often asked, "How much does it cost to buy a home in Menlo Park? 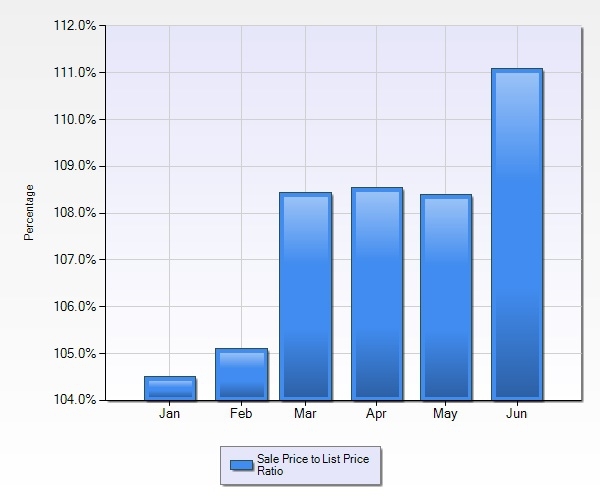 This chart tells the story of single family home sales in 2013 in Menlo Park. Lots of interesting information here. First of all, nothing in Belle Haven sold under $300,000. That is a milestone. There was a City of Menlo Park sale below market rate house that sold for $295,000 but the lowest price fair market price home was $324,000. The next lowest price was $355,000. The days of buying a home in Menlo Park under $300,000 are long gone. The next interesting fact is that most of the homes sold in Menlo Park in 2013 were sold between $400,000 and $2,000,000. 72 of the 110 single family Menlo Park homes sold in 2013 were purchased between $400,000 and $2,000,000. There were 24 homes sold in Menlo Park between two million and three million and 10 homes between 3 and 5 million. You can see that the lowest priced home you could buy in Menlo Park with Menlo Park or Menlo Park schools, as opposed to Redwood City or East Palo Alto schools was $850,000. Only 3 homes sold under $1,000,000. 46 homes sold under 2 million dollars and 34 sold over 2 million. What does this all mean for someone trying to buy a home in Menlo Park? 2. Only 80 homes sold in Menlo Park with Menlo Park or Las Lomitas schools compared to 135 that sold with Palo Alto schools. In Palo Alto 3 homes sold under a million, the same as in Menlo Park, and 8 homes sold over 5 million, unlike Menlo Park which had none. While more homes sold in Palo Alto, Menlo Park has a little less competition. 3. The average price per square foot to buy a home in Menlo Park with Menlo Park or Las Lomitas schools is $891,971. In Palo Alto is is $1,141.42. Both cities have average lot size of homes sold at 8,578 in Menlo Park vs 8,962 in Palo Alto so in general homes in Menlo Park are less expensive. 4. The average list price to sale price in Menlo Park is $1,954,749 list $2,048,101 sold compared to $2,381,202 list and $2,524,777 sold in Palo Alto. This is important information when you are making an offer in Menlo Park. In other words the price you pay over list is a smaller percentage than you have to pay in Palo Alto. If you are buying a home in Menlo Park you will need to pay over a million dollars and on average about $2,000,000. You will often have to pay over list price, but depending on the list price it is on average only about 5% over list. 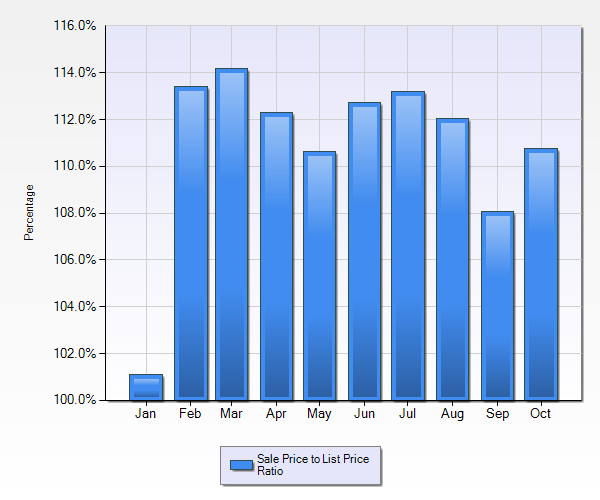 If you are looking in the 1 to 2 million price range there will be on average 10 homes a month that come on the market. The stats are nothing for Menlo Park buyers to celebrate, but there is no need to cry either. Should I Have a Foundation Inspection On A Portola Valley Home? As a Portola Valley Real Estate Agent I am often asked "should I have an inspection on the foundation of the home I am buying in Portala Valley? The answer is always YES. The home in question may have a property inspection that does not sound alarming and home may even be a new home, but if you are buying a home in Portola Valley the answer is YES. Portola Valley is a wonderful community with beautiful views, great schools, ample recreational activities, a pleasant shopping area, and a close knit community. The competition for homes to buy is much less than in neighboring Menlo Park or Palo Alto, but it is hilly, and close to the San Andreas Fault. Buying a home in Portola Valley is not cheap, and if you are spending over a million dollars at the bottom end, and up to twenty million on the top end, you should make sure you have as much information as possible. Buying a home in Portola Valley that is on a hillside is not dangerous, but there are problems that can occur with the soil on the property as well as the foundation itself. A good foundation inspector will be able to tell you if he/she sees active or potential problems and how to mitigate those problems after you buy the Portola Valley home. 1. 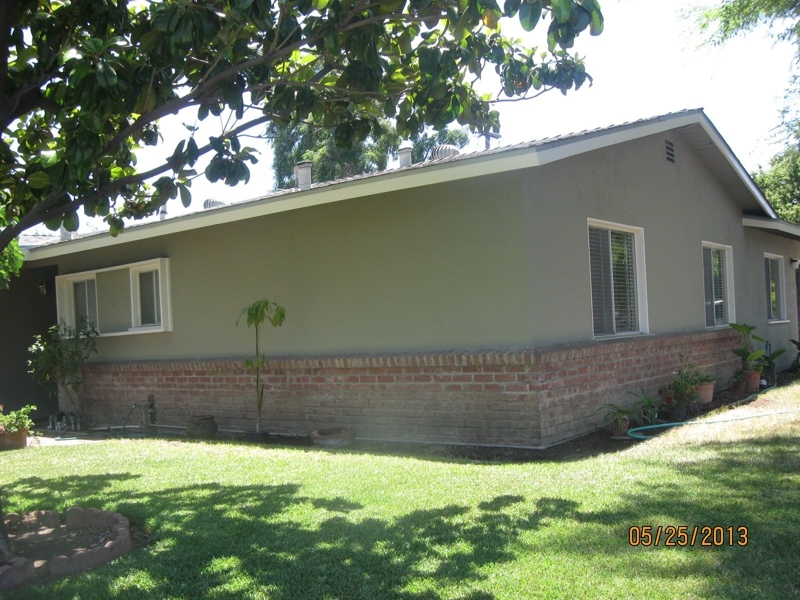 Is the home bolted to the foundation to prevent problems from lateral sway in an earthquake? 2. Are the cripple walls braced to prevent problems from the height differential in the foundation in an earthquake? 3. Are the piers lined up and properly braced to prevent sinking in an earthquake? 4. Is the drainage directing water away from the home to protect the foundation from water damage? 5. Does the soil around the home appear stable, or does it seem to indicate soil creep? 6. Does the Hillside appear stable or are their signs of active or recent mud slides or land slides? There are many other things the foundation inspector can discover during an inspection but the 2 most basic question you need answered when buying a home in Portola Valley is "Is there a good chance this home will survive an earthquake and is there a good chance this home will not be subject to a landslide or mudslide? If the answer to those questions is yes, then you can look forward to a wonderful life after you buy a home in Portola Valley. Anyone trying to buy a home in Moutain View right now knows that it is tough out there. There are many more buyers than sellers and many Mountain View homes sell with multiple offers way over list price. Some homes go as much as 30% over asking, but some do not. How does a buyer make the decision about how much to offer to have the winning bid in a Mountain View home multiple offer situation and not overpay? But for right now, let's just discuss price. Here are some things to keep in mind when you make an offer on a Mountain View home in a multiple offer situation. 2. How is the asking price of this home compared to market value? If the condo is listed low it will get multiple offers and sell for much more. If it is listed at or above market value it will not. This is not rocket science. Figuring out market value can be a little tricky since there are many variables, and the market is a moving target, but a good Mountain View real estate agent should be able to help you analyze comps. Once you know the market value you will have to offer more in an appreciating market like we are in now. Sorry, but that is the truth. the good news is the amount over asking seems to have peaked is is now down a little from the 12% over average in March. In the end, the final offer price and terms will be your decision, but if you have a great Mountain View real estate agent he or she can help guide you through the murky waters of Mountain View home multiple offers. 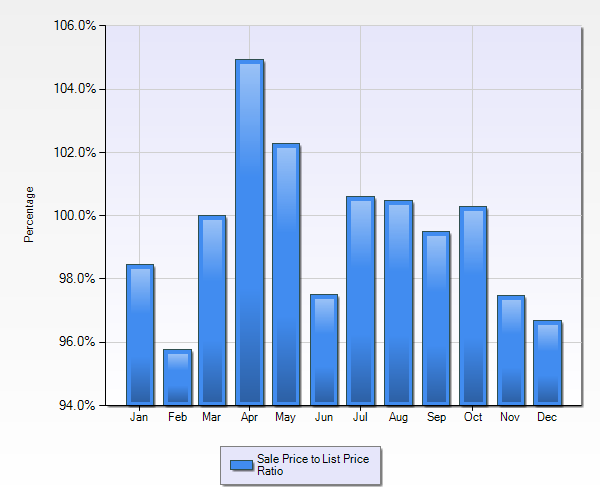 Anyone trying to buy a home in Menlo Park right now knows that it is tough out there. 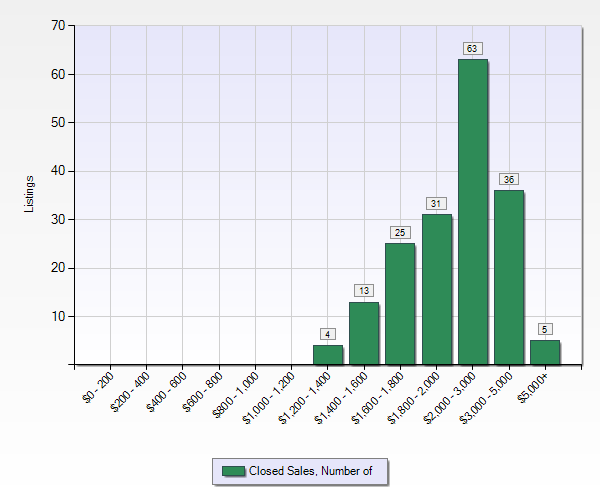 There are many more buyers than sellers and many Menlo Park homes sell with multiple offers way over list price. Some homes go as much as 30% over asking, but some do not. How does a buyer make the decision about how much to offer to have the winning bid in a Menlo Park multiple offer situation and not overpay? not a question of price, but terms, like contingencies, length of escrow, length of rent back, etc. 2. How is the asking price of this home compared to market value? If the house is listed low it will get multiple offers and sell for much more. If it is listed at or above market value it will not. This is not rocket science. Figuring out market value can be a little tricky since there are many variables, and the market is a moving target, but a good Menlo Park real estate agent should be able to help you analyze comps. Once you know the market value you will have to offer more in an appreciating market like we are in now. Sorry, but that is the truth. 3. What is the style of the listing agent? Does he or she like to list homes very low to get as many multiple offers as possible on their Menlo Park listings? Does the agent over value a home to try to get more money for their client, or just try to win out on a competitive listing? Does the agent like to work with multiple counter offers, or accept the the first best offer? Your agent should be able to give you insight into what other Menlo Park real estate agents like to do. In the end, the final offer price and terms will be your decision, but if you have a great Menlo Park real estate agent he or she can help guide you through the murky waters of Menlo Park multiple offers. The market is crazy, inventory is at historic lows all over the Silicon Valley. Over 95% of all homes in Santa Clara County recieve multiple offers. Prices are increasing due to high demand from high employement. Despite this craziness there are still some wonderful places to live where the chances of having your offer accepted are higher than in other places. Los Gatos is one of those towns. The shcools are great, the down town area is fun, the views of the mountains are beautiful, and the freeway access is good. Homes in Los Gatos vary from historic Victorians, mid century ranches, craftman style cottages, to new construction. there is something for everyone. The good news is that even though prices are on the rise in Los Gatos, you can still buy a home for just a little over asking price in most cases. 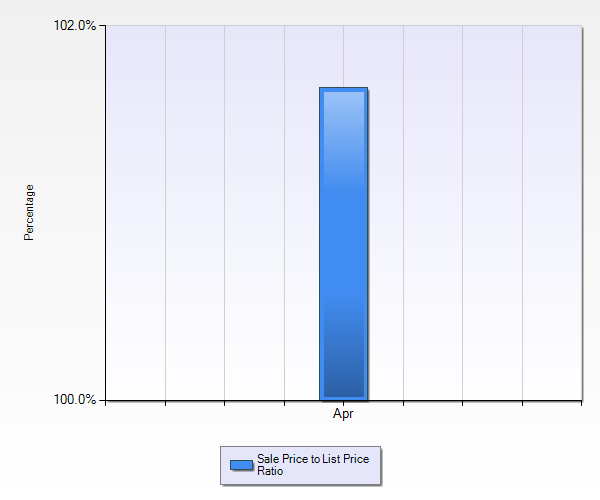 In the month of April the average list to sales price ratio was just under 102%. So, if you want to buy a home in the Silicon Valley, are frustrated by the amount over asking price that homes are going for, and want a wonderful community then maybe you should take a look at buying a home in Los Gatos. Anyone shopping for a home in Palo Alto knows that it is a seller's market. The inventory is low, and there are a lot of other buyers out there looking for the perfect home at a great price. The market is still active and you may only have a week to find a home, make a decision about whether you want to make an offer, and then try to make a strategy to make the offer for your dream home in Palo Alto. This fast paced real estate market in Palo Alto can cause a great deal of stress and angst. Feeling pressure to make quick decisions can be frightening. Loosing offers on homes can be frustrating. I can't tell you what home deserves your offer, or how much it will take to for sure get your dream home in Palo Alto, but I can give you a little perspective that will helpfully help bring down the stress level while buying a home in Palo Alto. When you find the right house you will know it and it will not be a huge struggle to make a decision. You will want that house, and be willing to do what you are capable of doing to get that home in Palo Alto. However, in order to get that feeling you need to have an open mind about the homes you go to see in Palo Alto. For example homes near Alma will almost always have noise, but there may be a house that is so good for you in many other ways so that noise from the road or train is less important than at a house that isn't "your house" If you find a home in down town Palo Alto the lot may be very small or the house may be smaller than homes in other areas, but if it is "your house" you will know it. So, in the end, it does not really matter why you reject a house, or if you reject one home and pick another home that has the same problem. If it is "your" house you will know it. So go see everything for sale in Palo Alto in your price range. Don't rule a house in or out because of pictures on the internet or where it is on the map. Keep an open mind, don't worry about rejecting or losing a home, another one will come along. Try to stay calm and relaxed, and when the right home comes along, make a great offer and act like you want to buy this house in Palo Alto. If you don't REALLY want to buy it, don't, but if you do then be willing to meet or exceed the seller's expectations.